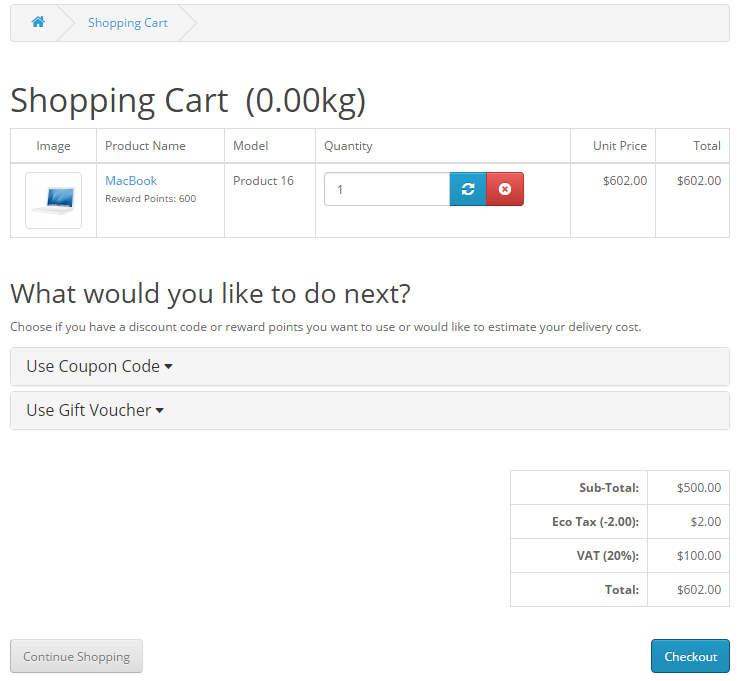 After the customer adds the product in the shopping cart, he has two options: to Continue Shopping or to go to Checkout. Depending if the customer is a New or a Returning Customer he has to create an account or only to provide an email and a password to complete the login/sign in process. 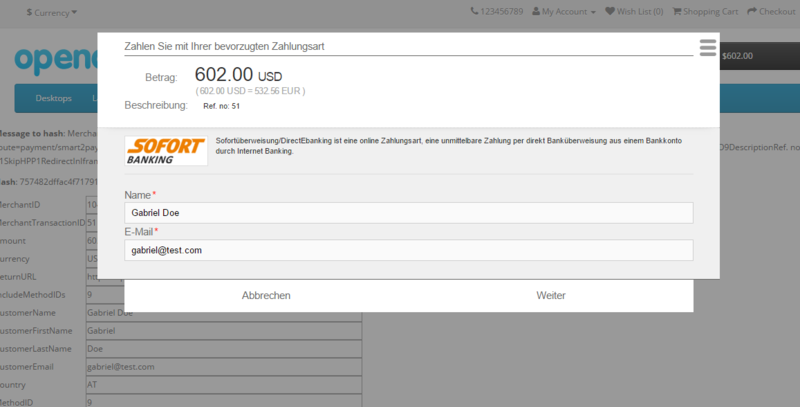 Depending on the billing country of the customer, the activated methods are shown in the checkout process in the Payment Method step. After selecting the proper payment method the customer needs to confirm the order. 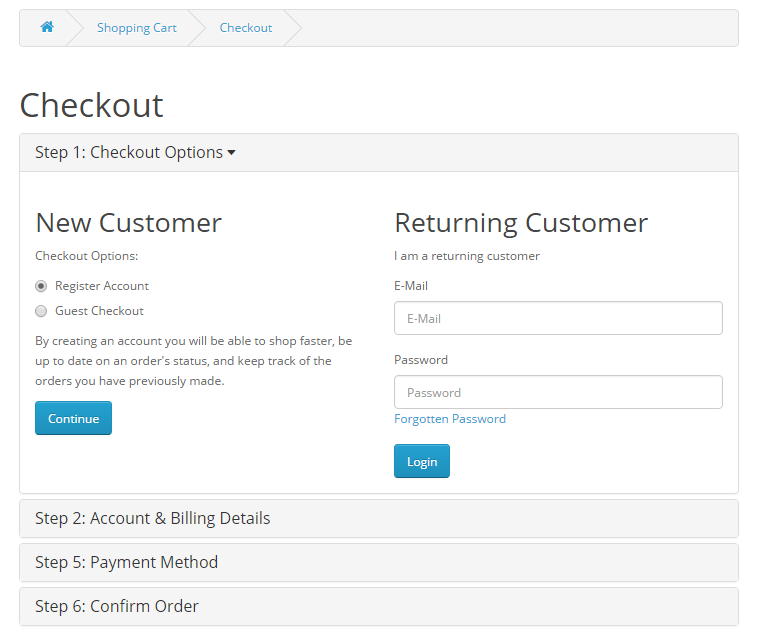 Upon completion of the payment flow, the customer is first redirected back to the Smart2Pay return page. 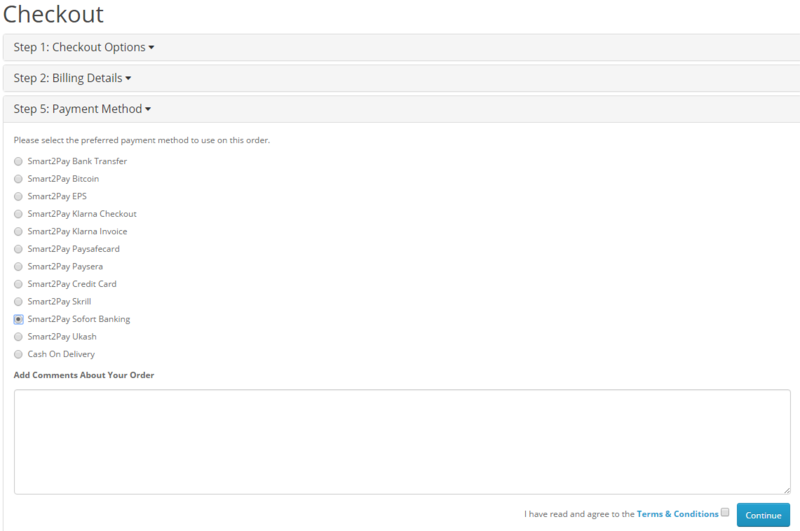 The flow is ended when the customer is redirected back to order confirmation page.